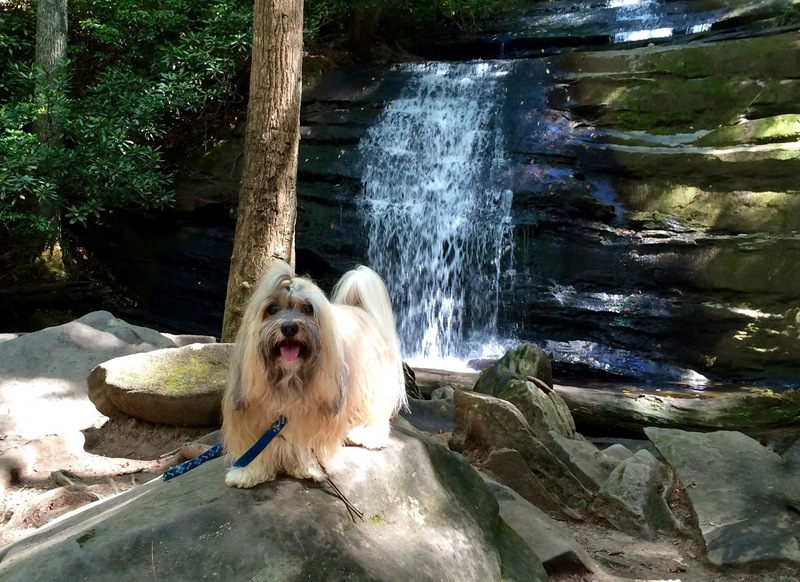 Last weekend we headed out for another fun hike in north Georgia, this time along a segment of the Appalachian Trail to Long Creek Falls. It was a fairly easy walk, just two miles out and back to the falls at Long Creek. But since the trail meets up with the Appalachian Trail, there's plenty of opportunity to extend the hike in either direction. At the Long Creek Falls trailhead, if you cross the road and head the other way (away from the Long Creek Falls path) you can follow the path to Springer Mountain, the start of the 2,000+ mile Appalachian Trail that extends all the way to Maine. 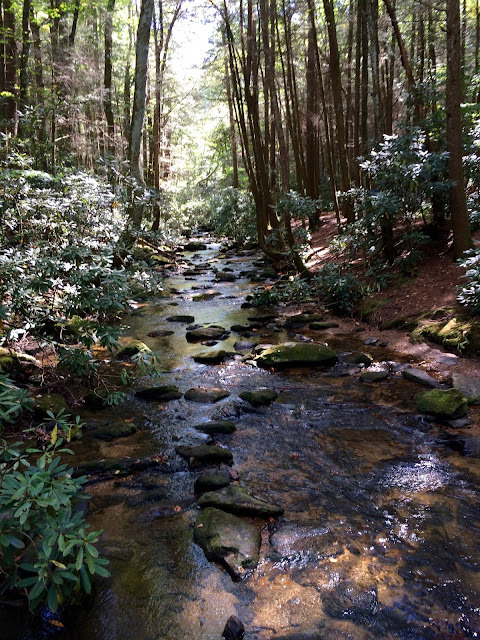 The photo above is a look at the view on the way to Springer Mountain. Plenty of fun things to jump over on the way! 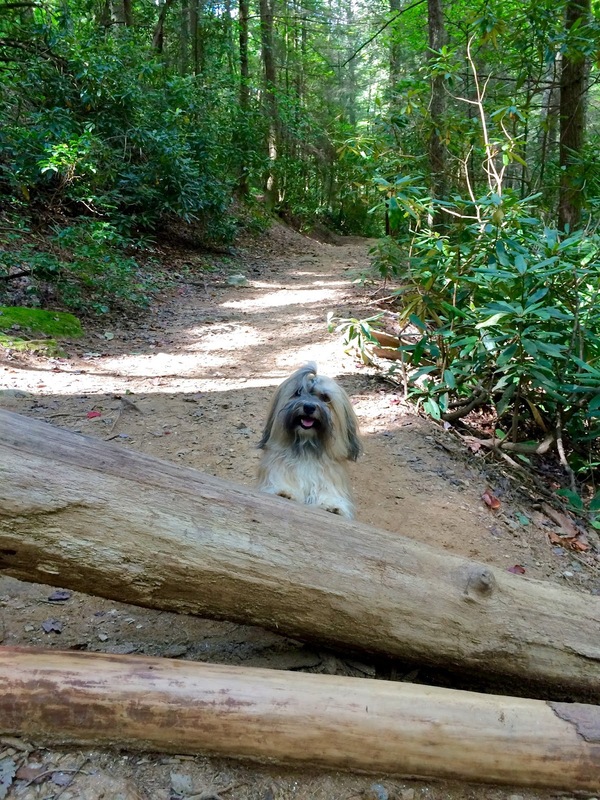 Back to the Long Creek Falls trail, the path was wide and not too technical, but Rocco still had fun with a couple of log obstacles along the way! Hi, hi hi! Thanks for stopping by! I hope we get to hike SOMEwhere with you! Your trail is as beautiful as the view. I hope you didn't step on anything slippery though. What an awesome place to hike! So cool that you guys live walking distance to the AT!